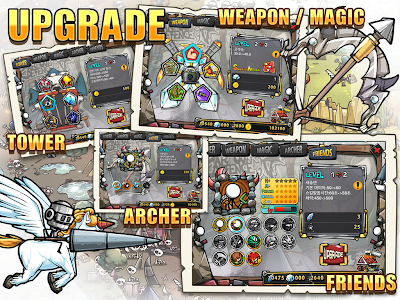 New Cartoon Defense, finally coming back. Now, it is time for us to attack. Let’s force the dragon off and have the treasure. 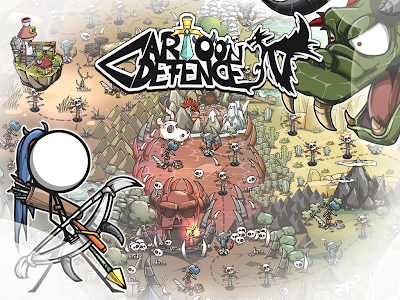 Cartoon Defense is a defense-action game that defeats all those enemies continuously coming to damage you. Kill every one of them and achieve honor. Kirimu, the giant dragon, which attacks villages and steals treasure away. Let’s hit the road to take all those treasures back from Kirimu. Wealth and honor will be all ours once we win the fight. 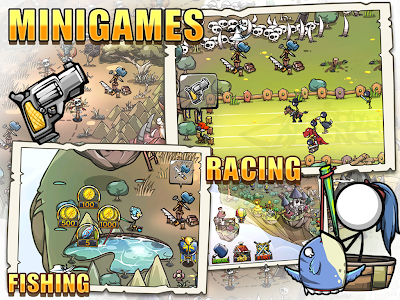 The truly exciting action that you can enjoy in the beautiful backgrounds. The mini-game which you can have fun with on a map. Obtain a resource through construction. 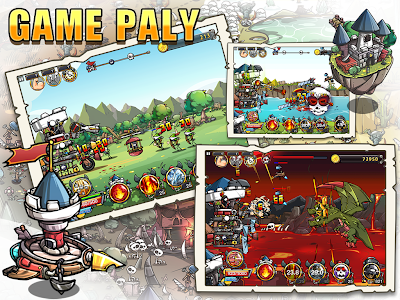 Mini-game 2, More than 50 different enemy units. 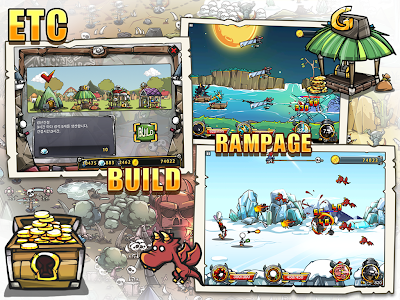 Cartoon Defense 4 for iOS is Open!